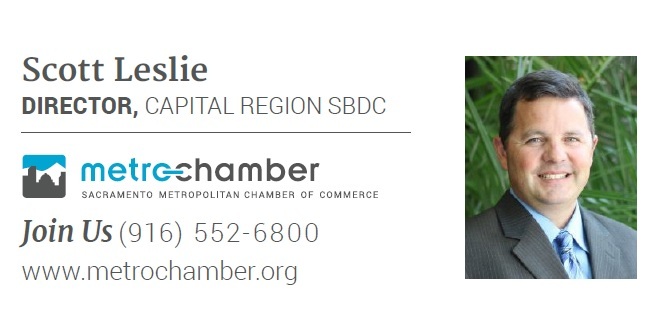 Recognizing small business drives our regional economy, the Sacramento Metro Chamber began managing the Small Business Administration’s (SBA) Small Business Development Center (SBDC) program in 2014. The goal was to make an investment in entrepreneurs and business owners that were intent on growing their business in our Capital Region. We’ve been hard at work and the results are in. Over the past two and a half years, the SBDC has assisted over 1,500 entrepreneurs with business formation, business plan development, access to capital, marketing initiatives and more. These efforts have resulted in 97 new business starts, 638 jobs created/retained and $31,403,510 in new capital infused into these companies. These results, particularly the job creation numbers, are not lost on our local, state and federal partners. Members from both sides of the aisle have expressed strong support for the program with federal funding from the SBA increasing 5% in 2017. As a “matching” program, the other 50% must come from state and local sources. In all other 49 states, the program is fully matched by the State, but that is not the case in California. Last year, the Governor’s Office of Economic Development (Go Biz) funded $1.5 million of the over $12 million in required matching funds. Given the success of the program locally, our local legislators decided to get involved. Thanks to the leadership of Assemblyman Jim Cooper (D – Elk Grove) the legislature increased Go Biz’s commitment to the program to $3 million. With very little overhead, these additional funds will directly translate to more services for small businesses and organic job growth here in our economy. This will only improve the impressive ROI for the state. Currently, over $787 million in capital is generated from the 42 centers around the state.